The scientific community of Latin America (LA) has developed international leadership in tropical medicine research which has influenced the decline of diseases such as Chagas and malaria. Contributions of authors, institutions and scientific journals from Brazil and Colombia stand out in the struggle of more than 100 years to eradicate tropical diseases. Our aim in the present paper is to study how this international leadership has influenced the communication patterns of two of the regional journals that have aided in the construction of this prestige: Memorias do Instituto Oswaldo Cruz (MIOC) from Brazil and Biomédica from Colombia, during the period of greatest international visibility of LA scientific journals, 2007–2015. The texts of the mentioned journals are used to study the relations of intertextuality between references and citations. Authors, references and citations of each text were classified according to three geographical origins: local, regional, and external. Resulting correlations are identified and compared. MIOC and Biomédica have improved their editorial policies and increased the international visibility of their papers without commercial publishing alliances and without changing their historical institutional mandate. The role played by Biomédica and MIOC has matured as accreditation sources of papers originating from the three geographical regions explored in the present work. 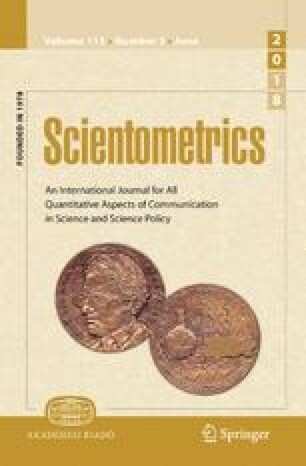 We hope that this trend will continue and that both journals will play an increasingly more active role in the international system of scientific communication. We acknowledge support from Consejo Nacional de Ciencia y Tecnología—CONACyT (Mexico). Memórias do Instituto Oswaldo Cruz. (2017). Editorial Policy. Memórias do Instituto Oswaldo Cruz. http://memorias.ioc.fiocruz.br/editorial–policy. Accessed January 16, 2017. Revista Biomédica. (2017). Políticas de la editorial. https://www.revistabiomedica.org/index.php/biomedica/about/editorialPolicies. Accessed January 16, 2017. World Health Organization. (2010). Chagas disease: control and elimination. http://apps.who.int/gb/ebwha/pdf_files/WHA63/A63_17-en.pdf. Accessed April 22, 2016.